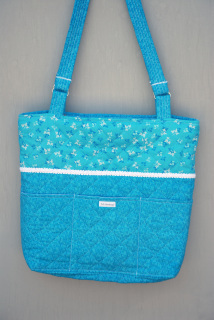 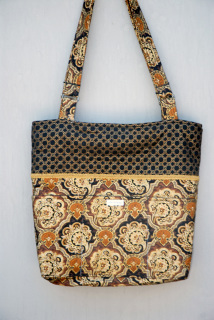 The Tera Bag is presently the largest bag in the collection. 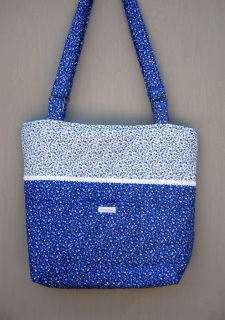 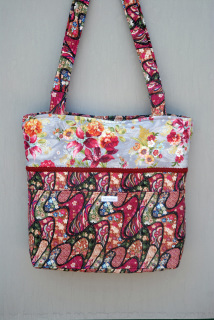 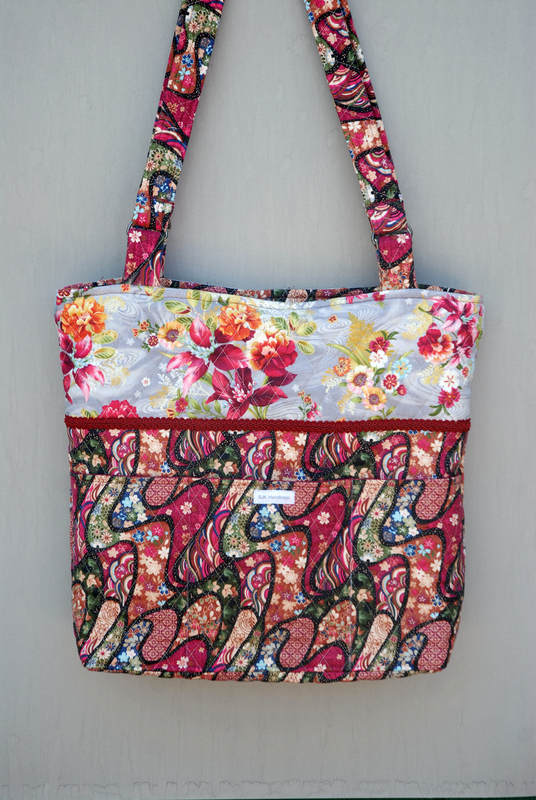 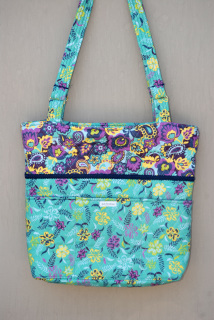 A laptop or a large tablet can fit nicely inside this bag. 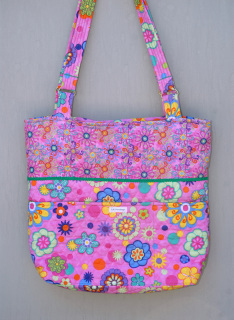 Actually, this bag could also be used as a diaper bag. So if you are one wanting a handbag that can carry more than the average amount of items, this is the one you might want to consider. 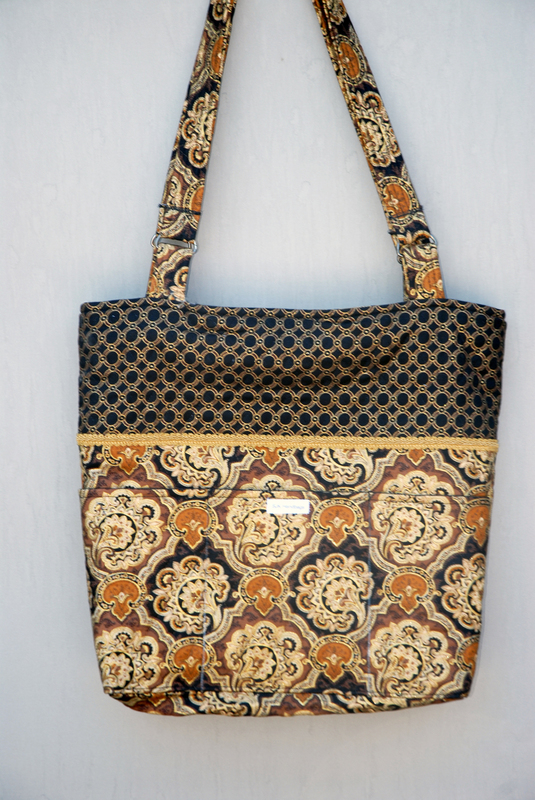 ​The straps for this bag measure 17 inches from the top to the top of the bag. 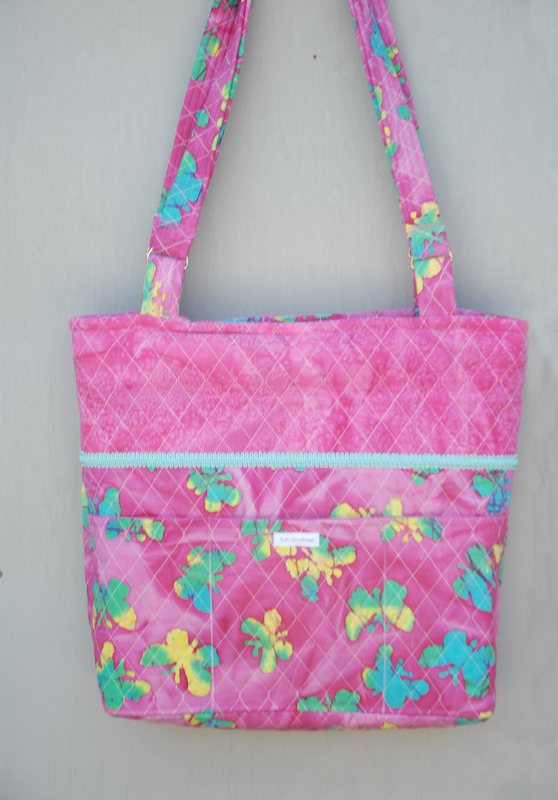 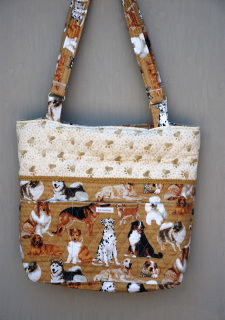 The bag measures 13 inches tall, 4 inches wide and 17 inches across. ​It has 3 pockets in the front measuring approximately 5 1/2 inches high by 5 1/2 inches wide. 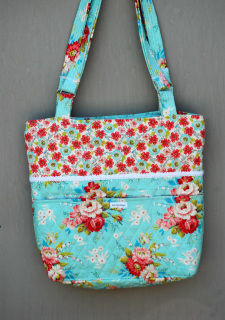 ​This handbag has a zippered top. 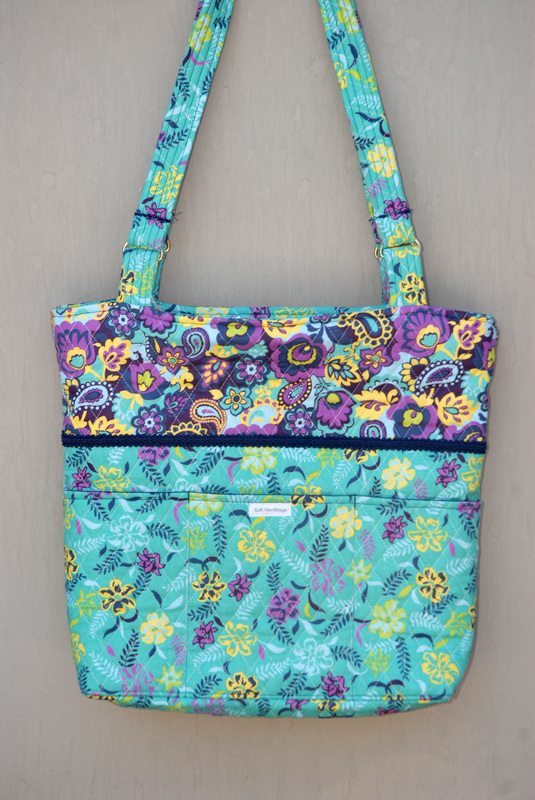 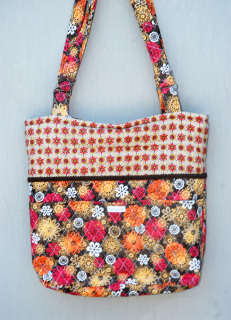 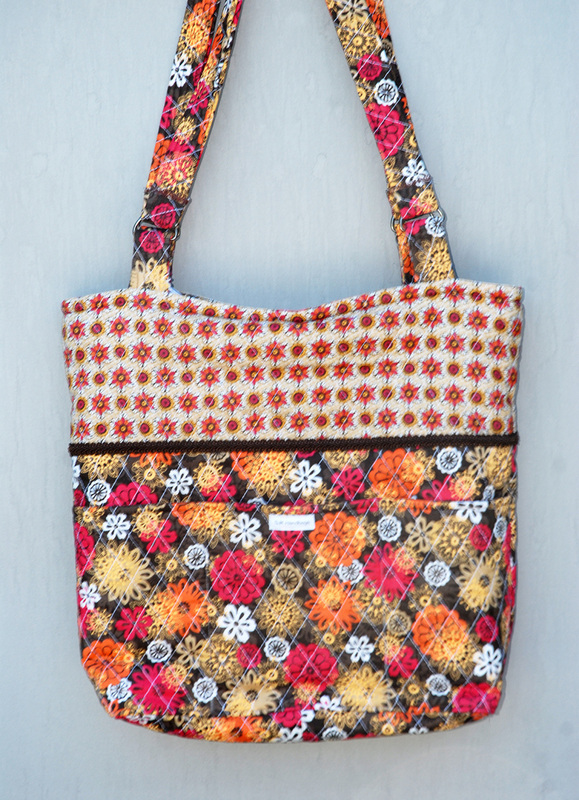 The interior of this handbag is entirely lined with pockets of different sizes and the cotton fabric used is coordinated to match an exterior color.